Congress blasted EpiPen's manufacturer in 2016 for raising the price of the allergy medication to $600 for a two-pack, a five-fold increase over nearly a decade. 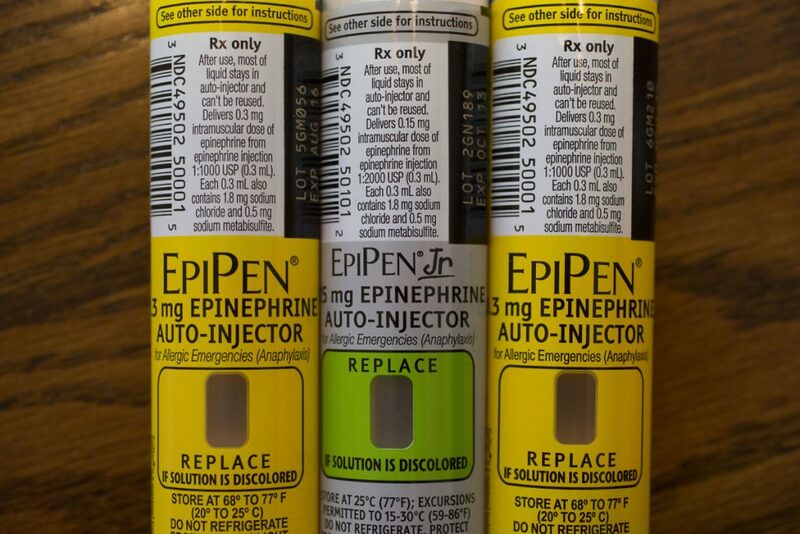 WASHINGTON – U.S. health officials on Thursday approved a new generic version of EpiPen, the emergency allergy medication that triggered a public backlash due to its rising price tag. EpiPen injections are stocked by schools and parents nationwide to treat children with severe allergies. They are used in emergencies to stop potentially fatal allergic reactions to insect bites and stings and foods like nuts and eggs. EpiPen maker Mylan has dominated the $1 billion market for the shots for two decades. Several other companies sell competing shots containing the drug epinephrine, but they aren’t heavily marketed or prescribed by doctors. In 2016, Congress blasted Mylan in letters and hearings for raising EpiPen’s price to $600 for a two-pack, a five-fold increase over nearly a decade. The company responded by launching its own lower-cost generic version for $300. Mylan continues to sell both versions at those prices, according to data from Elsevier’s Gold Standard Drug Database. Teva’s generic shot will be the first version that pharmacists can substitute even when doctors prescribe the original EpiPen. A Teva spokeswoman declined to comment on the drug’s price but said it would launch “in the coming months.” Generic drugs can be priced as much as 80 percent lower than the original product. But those price cuts usually appear after several companies have launched competing versions. Teva’s bid to sell a generic EpiPen faced multiple setbacks at the FDA, which rejected the company’s initial application in 2016. While epinephrine is a decades-old generic drug, Teva and other would-be competitors struggled to replicate the EpiPen’s auto-injector device.